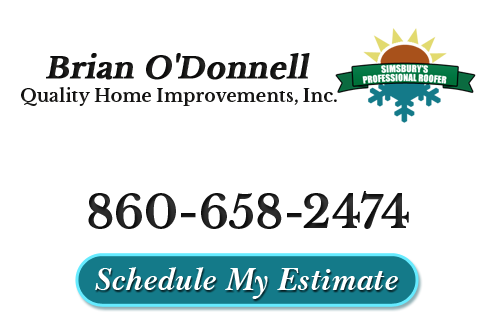 At Brian O'Donnell Quality Home Improvements our roofers provide professional workmanship and top quality products in the following services areas throughout Connecticut. When you need a roofing contractor in the Farmington Valley area you can rely on for honest results and complete satisfaction, give us a call. Don't see your location listed in our service areas below? Contact us. We'll be happy to learn more about your project and see what we can do for you. If you need a professional Connecticut roofing contractor in Simsbury, CT or any of the above service areas, please call 860-658-2474 or complete our online request form.